How Can I Get Car Financing with a Bad Credit Score? If you’re wondering, “can I get a car loan with bad credit”, you’ll be pleased to know that the answer is yes. See how to finance a car with bad credit, then visit Mercedes-Benz Burlington near Hamilton and Ancaster to discuss your finance options with our team of experts. How Can You Finance a Car with Bad Credit? The financial department at Mercedes-Benz Burlington can help you acquire a car loan with bad credit. First, get pre-approved by applying for financing online. Our financial team will be in touch will you shortly after, and can work with you one-on-one to come up with a personalized payment plan. What Steps Should I Take to Get a Car Loan with Bad Credit? Based on your budget, figure out how much you can afford to pay per month. If possible, make a larger down payment. Before applying for a loan, make an effort to clean up your credit report. Find a car that matches your lifestyle and doesn’t exceed what you need out of a car. Ask questions before making a decision! Improving your credit score after you take out your car loan will increase your lending power in the future. If you have bad credit but make your car payments on time each month, you can qualify for lower interest loans and credit cards later on. Finance a Car with Bad Credit Near Dundas Today! 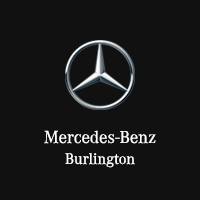 Apply for financing online before meeting with our team at Mercedes-Benz Burlington! While you’re waiting to hear back from our financial experts, contact us with questions and to learn more about our new vehicle specials! What Are the Benefits of Electric Cars?